Depending on how quickly you contact us we are also happy to sell at the price shown (£10,999) without work done. 2 x keys, 1 x fob. Every MOT from new to prove mileage, huge amount of paper work. 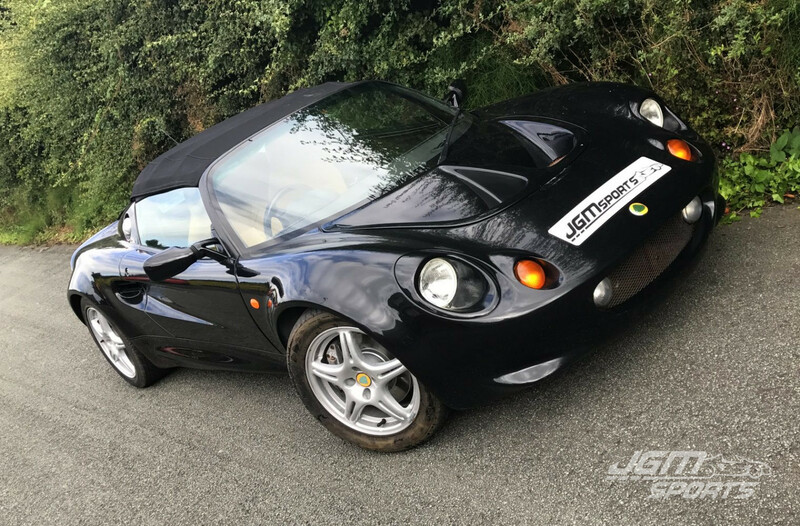 2000 13,299 miles – MOT. 2001 25,365 miles – MOT. 2002 26,319 miles – MOT. 2003 34,392 miles – MOT. 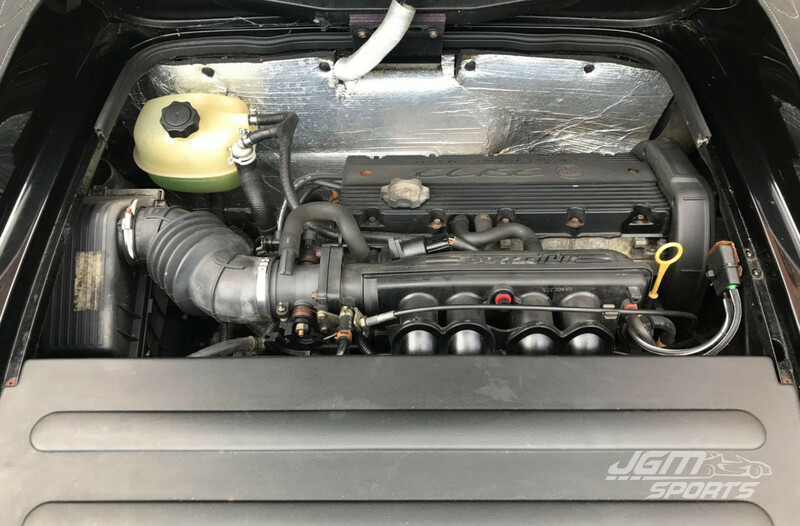 2004 36,374 miles – MOT. 2006 36,679 miles – MOT. 2007 36,820 miles – MOT. 2008 36,843 miles – MOT. 2009 36,851 miles – MOT. 2010 38,126 miles – MOT. Full C service which includes oil/filter, timing belt, aux belt, gearbox oil, brake and clutch fluid etc. Full new set of Toyo T1r tyres (old tyres pictured). Full new set of brake discs and pads. Price with the above work carried out is £11,999. Completely standard car no modifications. Cream leather interior in lovely condition, black hood like new. 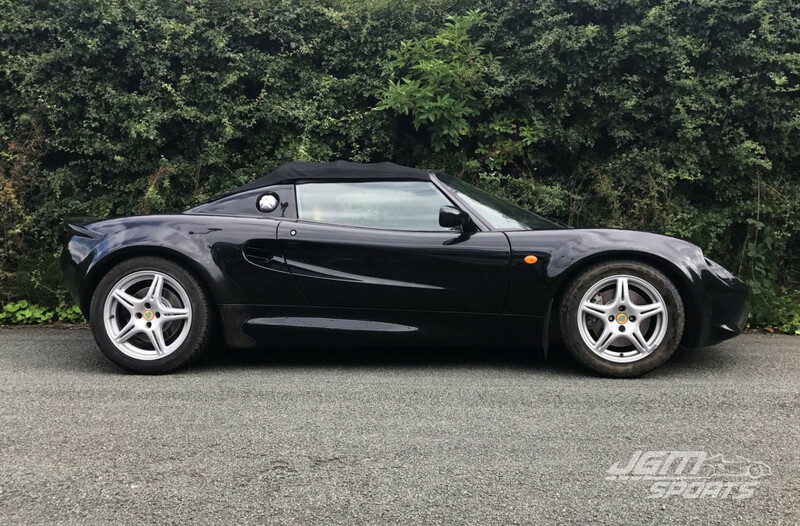 Paint work has a few stone chips to the front clam as to be expected but overall a really clean S1 Elise, becoming hard to find especially at this price. Drives fantastically, nice and tight as you would expect with the low mileage.